At CollisionFix, we don’t dislike insurance companies, like anyone else…we just don’t like the ones that take advantage the consumer! There are those insurers that do have you and your family’s interest in mind. These insurers do not spend millions on TV & Radio ads and are great companies that promote growth thru satisfying the consumer and therefore positive word of mouth. They do not interfere with the collision center that strives to bring your car back to its safe pre-accident condition. After all, this is why you buy insurance in the first place! In most cases these insurers we list here are not the largest, or the most well known, however in many instances their premiums are actually far less then the well known ones. Remember, if an insurer spends millions of dollars on TV ads trying to convince you they cost less… there’s a good chance they cost more! These insurers that spend millions on TV and radio to convince you they are the fastest, the cheapest, and the cutest are forced to charge more AND cut repair cost to try and make up for it. These are the companies that push body shops into cutting corners in an effort to fix vehicles for less. Some have advertised programs designed to make you think they are trying to make it easier on you. We believe these are the insurers that are trying to take advantage of you in your time of need. These programs are portrayed, as being for your convenience but be aware… They are NOT yours or your vehicles friend. Once you drop your car off direct to the insurer they usually send that car to a shop that must follow the insurers cost cutting repair practices so to keep the business flowing in. As mentioned earlier these shops have been known to use imitation, or aftermarket, and refurbished junkyard parts that save the shop owner or insurer money. Some of these insurers even have their own parts programs. These programs were exposed on CNN recently! There is some good news here! We are collecting a list of insurers that are concerned about the safety and satisfaction of their policyholders. Their business plan is to grow thru good service, word of mouth and great value. As we find more that promote good repair practices we will add them to our list. CollisionFix Code Conduct for Insurers. Use only original quality replacement parts that meet Original Equipment Manufacturers (OEM) Specifications in terms of Fit, Finish, safety, and performance. They do not attempt to steer you to any body shop they have cost cutting agreements with. They allow you freedom to choose a repair facility that’s committed to bringing your car back to its original safe pre loss condition. 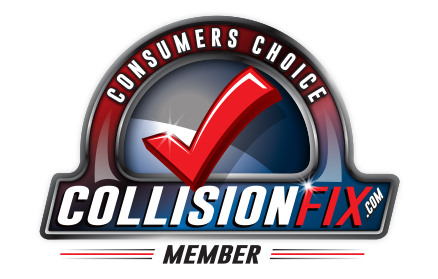 CollisionFix believes in the consumer’s right to choose a repairer facility and advance their rights to get a perfect & safe repair. It cost millions to advertise on national TV so remember… If you continue to see or hear your car insurance on TV or radio all the time… one way or another… you’re paying for it! The insurers on this page want your vehicle to be returned to its safe pre accident condition and allow for a repair that’s to the original manufactures standard! Below are just a few of them. If you know of more, we want to know about it. If you represent a quality insurer and believe your company meets the CollisionFix criteria, we’d like to hear from you!